The Kenton County Planning Commission adopted new cell tower regulations earlier this year with several goals in mind. 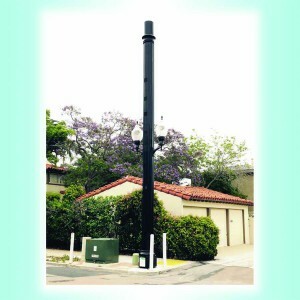 The most important of these goals was to empower its incorporated communities to control the location and design of small cell towers within their jurisdictions. The most dramatic changes to the regulations are within a new section that addresses small cell towers. These facilities are essentially telephone poles in the rights of way that have cell tower equipment attached. This new technology is exploding in the region as well as across the country. Since adoption of the new regulations, PDS staff has reviewed and approved several new small cell towers within Kenton County jurisdictions. As the new regulations have been applied, they are meeting this goal by requiring all parties involved to meet and discuss the potential location and design of the new small cell towers with community leaders. The new regulations have also streamlined the approval process for these towers. Previous to the new cell tower regulations being adopted, all new cell towers – regardless of height or location – had to go through the state-mandated uniform application process. This involves very detailed engineering reports, extensive documentation, and broad reaching notification to the surrounding communities. The uniform application process was drafted at a time when tall cell towers over 150 feet tall were the norm. While this level of detail is necessary and desirable for the traditional tall cell towers, the planning commission saw this as overreach for small cell towers. There may be dozens, if not hundreds, of these small cell towers across Kenton County sometime in the future. Holding a public hearing for each one was seen as unrealistic. Finally, the new cell tower regulations have preserved the uniform application process for any towers over 50 feet. This means that if anything taller than a utility pole is proposed, communities can rest assured that there will be ample opportunity for review and public input through Kenton County Planning Commission’s public hearing process. Through careful planning and involving many stakeholders, the new cell tower regulations are meeting the expectations and goals that the county planning commission set out to address. You may review the expanded cell tower regulations here.